When you have air duct cleaning performed, it is better for your home environment. One of the ways this happens is that it reduces dust. It is practically impossible to eliminate dust completely but simply reducing it makes breathing easier for everyone. When your HVAC system kicks on, it forces air and consequently dust throughout your entire home. 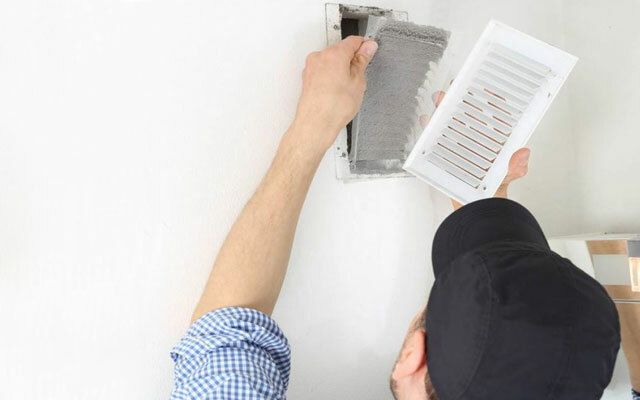 Even though you do not see the dust and dander, they are still present and can be detrimental to your health, which makes air duct cleaning all the more important. You should make sure that you have this maintenance performed every year. You should not wait more than two years between servicing. Is Duct Cleaning Really Important? We face the question ‘Is duct cleaning really necessary?’ every day. The simple and straightforward answer to that is a resounding yes. The benefits of duct cleaning do not stop at simply improving the environment in your home and making it healthier. You could actually become more energy efficient and save yourself thousands of dollars in replacing an overworked HVAC system. The cleaner the unit and its components are kept, the better and more efficiently it runs. Not to mention adding longevity to your unit. Whether you realize it or not, you could be breathing in contaminated air if your system is not maintained properly. Let’s face it, there are some repairs and renovations around your home that you can do yourself. Just watch a YouTube video and you are ready to conquer the world. That is not the case with this type of project. This job requires a great deal of specific knowledge about the equipment being used and the equipment being cleaned. There are some high-tech tools that are necessary to properly clean every area of a duct system in order to assure the unit is completely clean and free of allergens, dust, and dander. So, this is certainly not a job you could properly perform after watching a how-to video. Not only would you not have the proper equipment, but you could risk damaging your unit or ductwork and need costly repairs. We understand that this seems to be a costly expense for what could seemingly be completed with your home vacuum. However, it is much more involved than that and the cleaning and more importantly decontamination of your duct system go much deeper than your air vents and return grill. When duct cleaning is performed, ALL areas of the unit are cleaned and decontaminated to provide you with a system that will help keep you and your family healthy. We hope that when you are ready to have your HVAC system cleaned, you will allow the professionals at Comfort Clean the opportunity to give you the utmost in professional service.